Many people think of giving everything up to follow their dream. Very few, however, end up taking the plunge. This is the story of Ray Walker who had a secure career in finance until he took a wine-tasting vacation which ignited a passion for wine that he couldn’t stifle. Now the interesting part of the story is that unlike most wine lovers who develop their passion over many years, Ray Walker could not be bothered about wine and actually could not really see the point or stand snobbish behaviour related to wine. But once the wine bug hit during a tasting of Burgundy wines, he could not get away from it and pursued his dream taking huge risks and sacrificing family life. Not speaking French, he took the plunge by watching TV or reading old books trying to learn the techniques of wine making and the language and daydreaming about what it would be like to create his own wine. He quits his job and gets his hands dirty with some winemakers in California before heading to France to start a winery with little money, a poor command of French, very little winemaking experience and no guarantee that he could procure grapes to produce his own wine. I would recommend this book not only to wine lovers wanting to read about the life in one of the most talked about wine regions of the world but also to those who want to read about a story of someone who, despite the heavy odds stacked against him, follows his dream to pursue what he really wants in life. In the process, Ray, becomes the first non-French winemaker to purchase grapes and produce a wine from Le Chambertin which is considered by many to be the king of grand-crus in Burgundy and which challenges Romanee-Conti and Montrachet Grand crus. A few days before the first harvest, he was not yet sure whether he would procure any grapes. At first he set his mind to create a generic ‘village wine’. But by a stroke of luck, he manages to get not only get generic grapes but also the coveted Le Chambertin, a grand cru. At times ridiculed for using ancient techniques which no longer were in vogue, this is also a story about an amateur whose passion and inexperience leads to a creation which may be considered as special. I will not write more about the story not to ruin the fun other than to say that I will visit Ray when I am next in Burgundy. And I look forward to tasting his wines called Maison Ilan. Below you will find a short video about how he pursued his dream. As the holiday season in Europe slowly starts to come to an end, one starts to think of the cooler months but also about what books to read to remind oneself of the summer. Palmento, A Sicilian Wine Odyssey has been earmarked as one of my summer reads after I read Corkscrewed by Robert V. Camuto about wines in France (I will review the book later). But I can imagine myself reading this book on a cold winter evening, with the rain knocking on the windows maybe with a glass of wine to accompany the reading. In fact, I am sure that this coming winter, I will come back to read this book given I have rarely read a book so beautifully written about the subject of wine, the region and its people. Now, I may be biased because as you may have seen, my interest in wine more than 15 years ago came from the discovery of Sicilian wine and its many facets. The same can be said about its wine. For many years, Sicilian wine was sold up north to add more body to Northern Italian wines and even French wines. Over the past years, however, Sicily has developed into one of the most interesting wine regions in the world, with many winemakers describing it as a ‘continent’ because of the many terroirs which one can find on the largest island in the Mediterranean. The book starts with a dinner at Sakalleo in Scoglitti (a fishing village in the very south of Sicily) which is probably the closest point that can be reached by boat from Malta. And again, maybe it is for nostalgic reasons or because the memories of eating at this place (probably the finest fish restaurant that I have been to) but the author describes the meal he had there in perfect detail reminding me of the three times I have been to this place. This is pretty much my philosophy about food so as soon as I started reading the book I knew that I was in the right company. Camuto has a deep passion for wine. He visits Sicily when he turns 50 and spends a year chronicling his journey from Ragusa to Palermo, Marsala to Pantelleria with trips to the rugged interior of Sicily and the heights of Mount Etna. Here he stops to meet winemakers, Sicilan and not, including the renowned Belgian winemaker Frank Cornelissen who has taken Sicilian wines by storm making natural wines from the Mount Etna region which are world renowned. Camuto captures the personalities and flavours and the traditions of this old world which is Italy’s largest and oldest wine region but the world traveler’s newest discovery. He goes to among others, Azienda Agricola COS, Benanti, Tenuta delle Terre Nere, Marco de Bartoli, Planeta, Tasca d’Almerita to mention just a few. A full immersion into Sicilian wines and cuisine, Camuto portrays Sicily at its best. He speaks to some of the largest wine producers in Sicily as well as to the small producers which are experimenting with traditional methods of winemaking which have to a certain extent been lost. If you love Sicily or are curious about getting to know more about Sicilian wines, then this is a must read. If you love wine, this is also a must read. I actually wish there were more books like this about other wine regions in the world. “If we want things to stay as they are, things will have to change.” Originally from Il Gattopardo and quoted many times by Sicilian wine producers. A week without internet last week relaxing on the island of Gozo was an excellent way of winding down but meant that the ‘What I enjoyed reading this week” series of articles got interrupted. You can therefore find a few interesting finds from last week as well as some from this week here. Michel Roux Jr is no longer the presenter for the next series of Masterchef on BBC. This is a pity because he was an integral part of the show. Nevertheless, renowned British chef Marcus Wareing, who has been featured many times during past Masterchef editions and who is known for seeking perfection takes over. Here he is interviewed by the Financial Times. An interesting read about wine pairing rules which no longer seem to work and where therefore versatile wines are key. Foodiva is the sister of a very good friend of ours with a great food blog on the Dubai scene. Being Cypriot, her culinary guide to Cyprus is not only mouthwatering but it also makes you want to visit this Mediterranean island. Do you have what it takes to try the world’s most dangerous foods? Which one would you try? Here is a great guide about tasting young wine from Decanter’s Steven Spurrier. A great article about productivity by learning tricks from chefs. And as a bonus watch the video at the start of this blogpost. It is a fantastic trailer of a documentary about the world’s best sushi chef who continued to work at the age of 82 in search of perfection. He was the first ever sushi chef to get 3 Michelin stars. A great article about innovation at Bordeaux’s Chateau Palmer. Here is why bitter makes food better. 1) As cellarer of the monastery should be chosen from the community, one who is sound in judgement, mature in character, sober, not a great eater, not self-important, not turbulent, not harshly spoken, not an off-putter, not wasteful. So starts the book, Shadows in the Vineyard, the true story of the plot to poison the world’s greatest wine. The author Maximillian Potter admits at the end of the book that when he came to write this story for a magazine and later turned it into a book, he knew very little about wine. This is all the more amazing because the book reads very well, has incredible details and history of the wines of Burgundy. On top of it all, he recounts a true story which happened in 2010 and which threatened to ruin the wines of the Domaine de la Romanee Conti. Now for any serious wine lovers, the wines from this Domaine are the holy grail of wines. On just about any list of the world’s top 25 rated wines you will normally find seven wines from this wine house: the Richebourg, Echezeaux, Grands Echezeaux, La Tache, Romanee-St Vivant, Montrachet and Romanee-Conti. Burgundy wines are well known for their finesse, particularly if they are well made. But finding these well-made wines is not as easy as it seems.Made from Chardonnay (white) and Pinot Noir (red), no other region is as complicated even for wine experts as Burgundy. The reason is that this north, it is very difficult to make wines and therefore terroir plays a very important if not crucial role in the wine production. 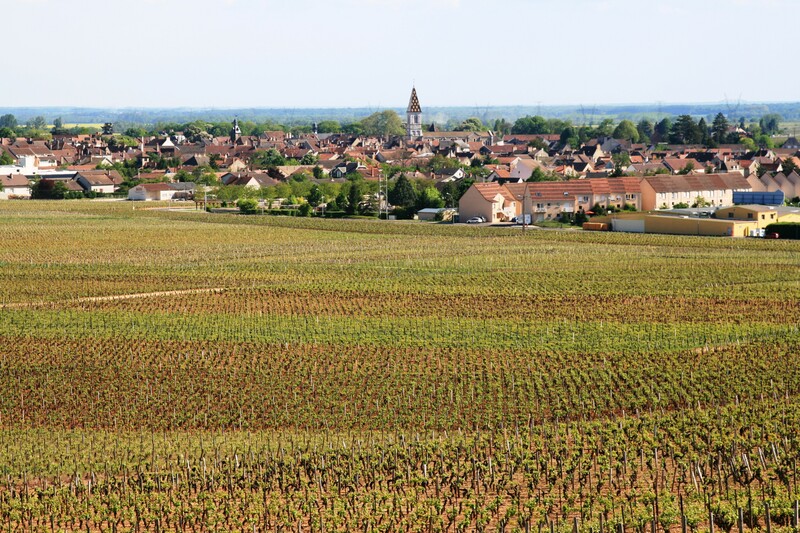 With so many appellations based on villages (87 in total) and vineyards shared by some 3,5000 winegrowers it is no wonder that Burgundy wines can be confusing. Getting your way through Burgundy wines is like getting a very thorough geography lesson. You need to know the villages, where the vineyard is, in which part of the hill it is and whether it faces the sun or not. You need to know why a wine from a village may cost double or triple the price of another which is produced just across the road but from another village. There is therefore a certain allure to Burgundies, and when you discover well made Burgundies even from small producers, you normally return to buy these wines time and time again first because a well made Burgundy wine is fantastic. But the wines from DRC as the Domaine is often known are among the world’s most sought after wines and also unfortunately unaffordable to many. The author writes beautifully about the wines and the Burgundy region, the plot reads like a thriller and makes you really curious to find out what finally happened. I will not spoil the story of the book but if you are interested in wine, want to discover a bit more about Burgundy and read a different sort of book related to wine, then I highly recommend it. Here is a list of interesting articles I have come across this week. Enjoy your Sunday with these nice reads. You will find a great article about wine fraud and counterfeiting from wine searcher here which is food for thought especially for the risk it involves of buying expensive wines. For those in the know, drinking wines from Fleurie or Morgon may no longer be considered as inferior pleasures. Have you ever wondered in awe about wine sommeliers and their incredible depth of knowledge about wines. Here you will find what it takes to become a master sommelier. Chablis is a fantastic wine region and wine that is excellent with seafood. Here you will find a great lesson about Chablis. Fast food has a very bad reputation for health. However, eating in restaurants might not be any better according to a study. If you are heading to Amsterdam any time soon here is a list of 10 pop-up restaurants or food hotspots you can find in this Dutch city. The good fresh fish shops in Mediterranean countries are a joy to visit. When you have a kitchen available, all you need is to just follow your instinct and choose what is fresh and appealing. A visit to my favourite fish shop in Malta led me to fresh tuna, which at the moment is available in abundance and incredibly cheap. But alas it was not available at my fish shop and it seems unlikely to be available anytime soon (probably the restaurants at this time of year buy whatever they can find given it is peak tourist season). There was an incredible choice but given the fact that the fresh tuna looking incredibly good, I opted for penne with tuna. The following is the recipe. 1. Boil enough water for the pasta. I normally calculate around 1 litre for every 100 grammes of pasta. 2. When tuna is in season, fresh tomatoes are also in season therefore use fresh tomatoes for this recipe. I normally pierce the tomatoes and place them in boiling water for 30 seconds. They can then be peeled very easily. Remove the seeds and then chop finely. 3. Chop the garlic. Pan fry the garlic in around 3 tablespoons of extra virgin olive oil. Just before it starts to colour add the tomatoes and stir. Add the sugar and salt and pepper to taste and stir occasionally for around 10 minutes. 4. While the tomato sauce is cooking, finely dice the tuna and slice the olives. Add the olives to the sauce after around 10 minutes. 5. In another pan, brown the slivered almonds making sure they do not burn. If you are using a non-stick pan you do not need to add anything. (You can also do it in a grill but make sure they do not burn). Once they have a golden colour remove from the heat. 6. Throw the pasta into the boiling water (that has been adequately salted) and cook according to instructions. (For al dente pasta, I always stop the cooking at least one minute before the instructions since I mix the pasta to the sauce and continue cooking for around a minute). 7. 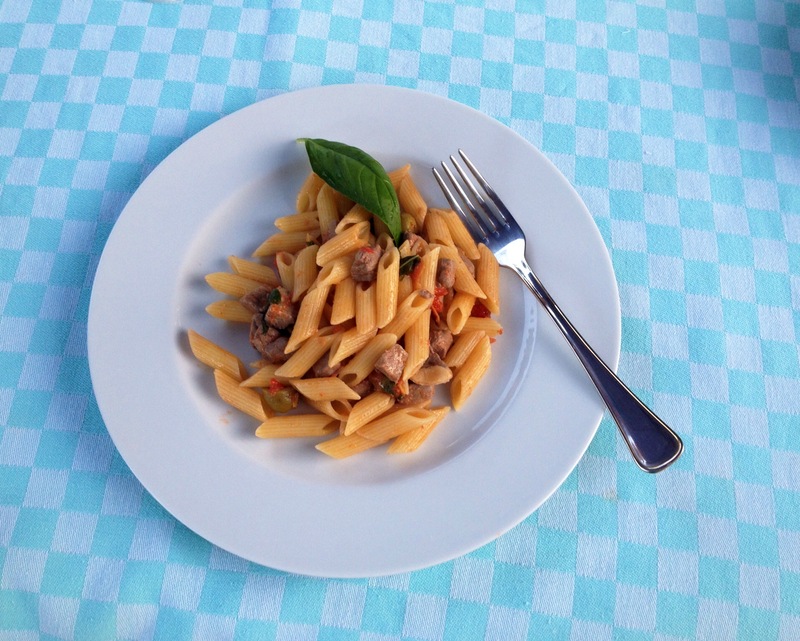 Once the pasta is cooking, add the tuna to the sauce and the white wine and increase the heat to medium. You should make sure that the tuna is not overcooked. Once the tuna has coloured keep the sauce warm. Add the slivered almonds and shredded basil and season to taste. 8. Drain the pasta and then add to the sauce and continue cooking for around 1 minute. Serve immediately with an additional drizzle of extra virgin olive oil to taste. Wine suggestion: It is summer and this is a summery pasta dish with fresh Mediterranean ingredients. Tuna is a versatile fish which can even be enjoyed with a light red wine. However my recommendation would be a nice Sicilian white wine. A blend of Chardonnay and Insolia (the Angimbe from Cusumano for example) would work wonders with this dish. Most pasta dishes marry well with Italian wines. Another option for a white wine would be a Falanghina from the Campania region. A Vermentino from Sardegna or Tuscany would also work well. It has been a depressing week in the news. The above photo which was shared by Gambero Rosso on their Facebook thread while being humorous pretty much sums up my feelings for the week. Wherever you look in the media, whether it is the news on television, newspapers or even social media sites, you see photos of destruction. And you ask yourself why? Why is this happening? Why is there so much hatred? Please stop to think about what is happening and what we could do to try and make a difference. In any case, these are a few links to articles/video I enjoyed this week. My readers by now know that I have a fascination with Massimo Bottura, who is considered as Italy’s most creative chef. Here you will find a fantastic interview about the creative process and evolution in his cooking. If you need some creative inspiration I recommend you watch it. This is a beautiful piece of writing in its own way. In this article, Eric Asimov, one of my favourite wine writes looks at the wines of Irouléguy, in French Basque Country. It makes me want to go and visit. It also makes me want to look for the wines he suggests. Many of us still recall the horse meat scandal which rocked the food industry last year. Matters seem to be improving considerably but we are not out of the woods yet. Barcelona is one of the top five cities I want to visit as soon as possible. 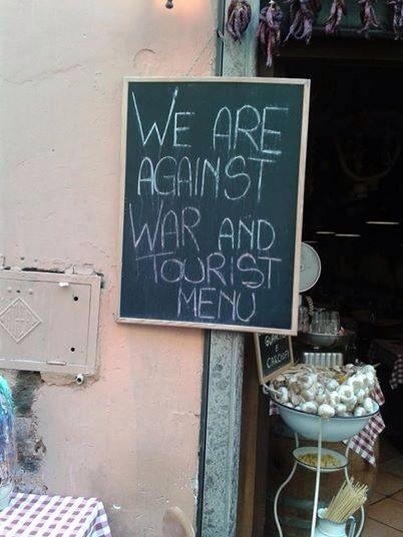 Here you will read about some great places to try out if you are heading there. Ivan Brincat Create a free website or blog at WordPress.com.